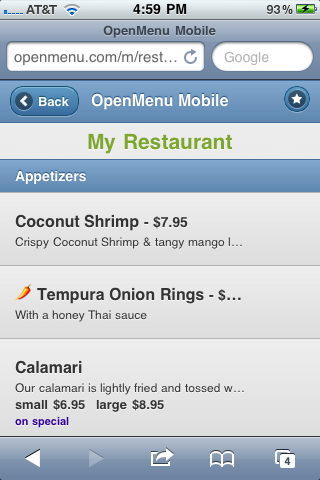 Now every restaurant on OpenMenu gets a mobile version of their menu. The web and mobile version is accessible from the Restaurant’s base page on OpenMenu, the page where we communicate information about a restaurant in our system. My apologies… I answered my own question. Looks great and we’ll be using it for our mobile solution. Thanks! 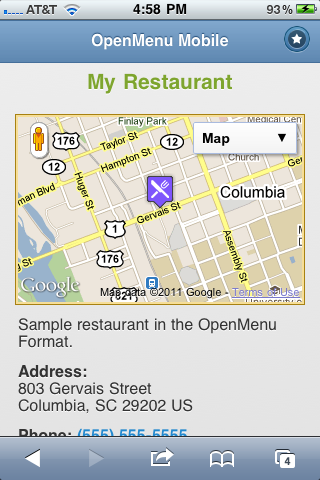 For others: To locate your restaurants mobile site just use the search box to locate your restaurant. 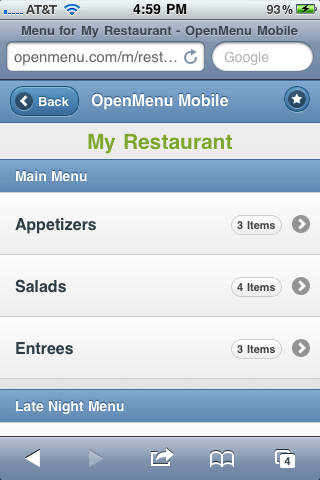 The page will display a link to both your web version and mobile version of your restaurant/menu.